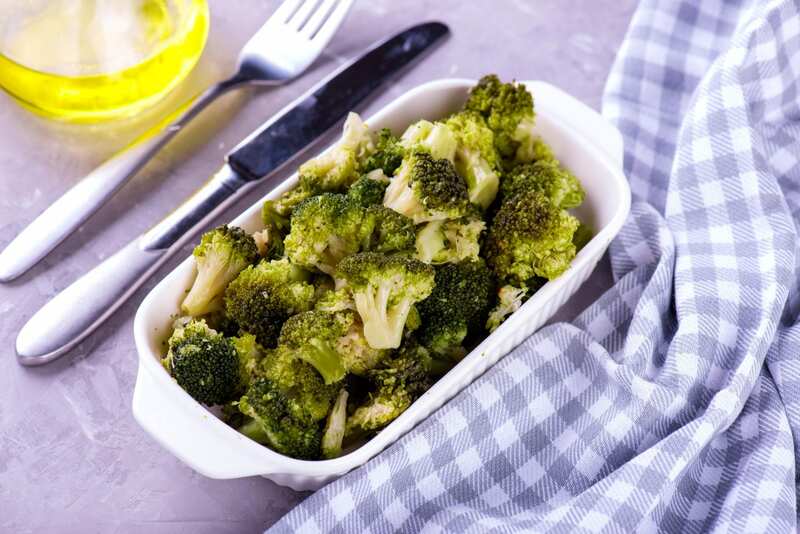 The Broccoli recipe was developed for North Carolina’s Farm to School program as part of Chef Cyndie’s K12 Culinary Team. I like introducing schools to a different way of preparing broccoli; roasting rather than steaming! Cut broccoli crowns into florets. In a large bowl, whisk together olive oil with garlic powder, salt, and pepper. Add broccoli florets, and using a spatula, toss to coat evenly. Roast at 400°F for 12-15 minutes or until fork tender and tips are starting to brown. Internal temperature should be 135°F or above. Transfer broccoli to 2 1/2 inch full size steamtable pans for service. Toss with lemon juice and then sprinkle with grated parmesan. Hold and serve at 135°F or above. Serve using a 4 oz spoodle or #8 disher.